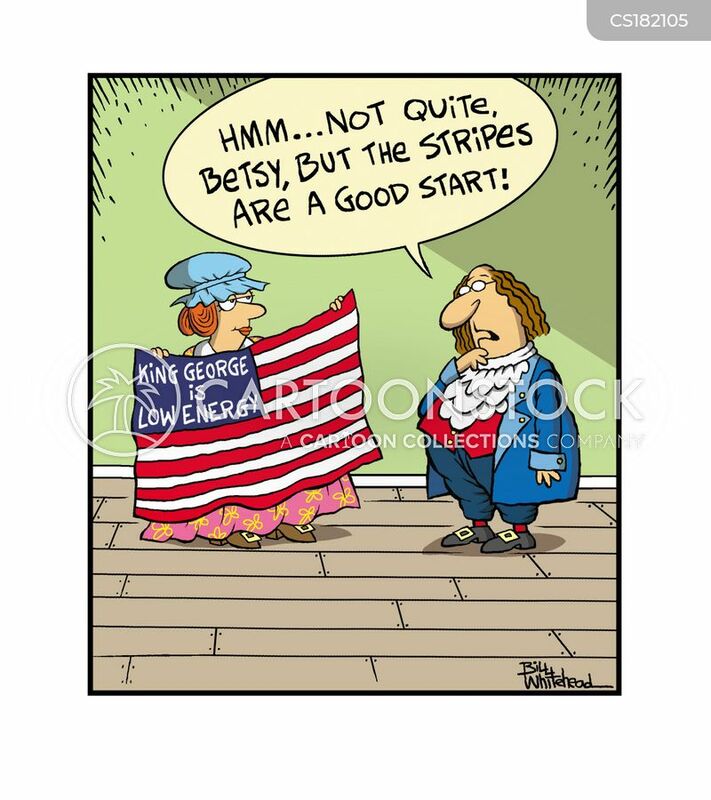 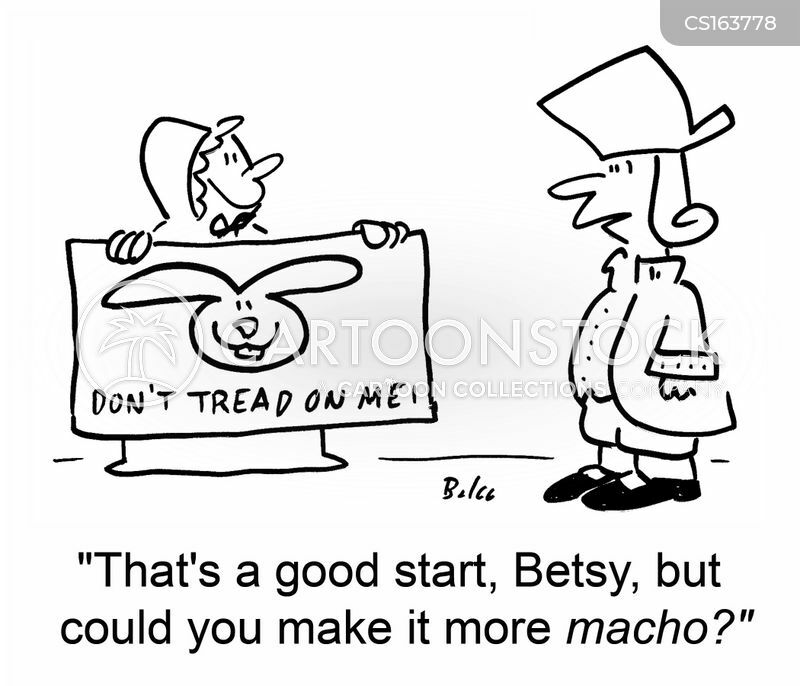 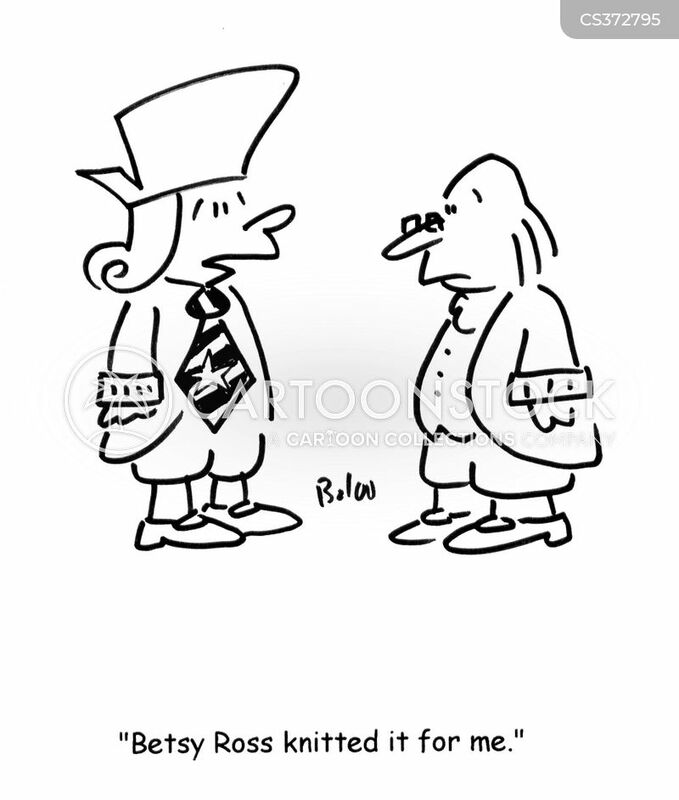 "Hmm...Not quite, Betsy, but the stripes are a good start." 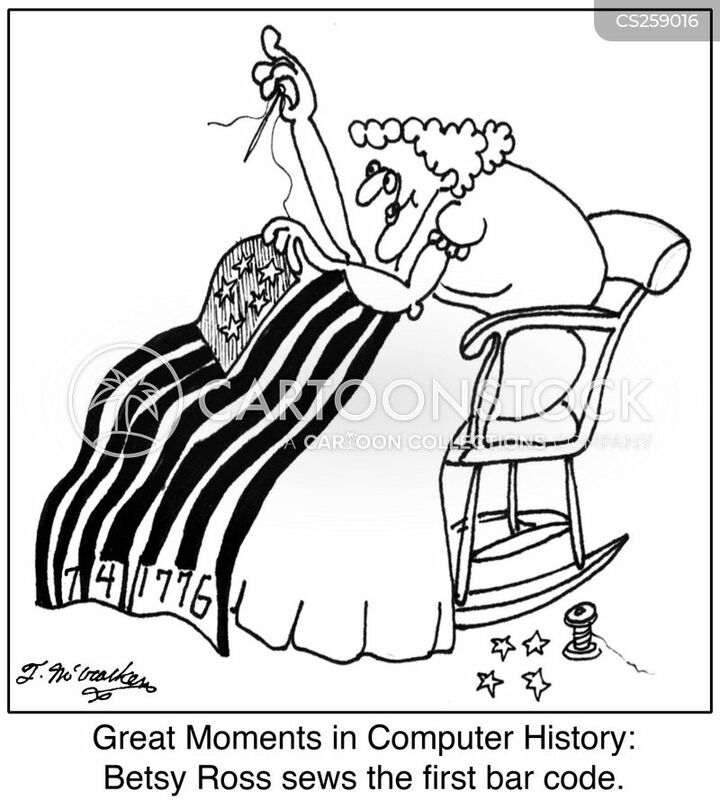 Most people don't know that it wasn't until seventeen years after Betsy Ross sewed the flag that Bob Ross invented the pole. 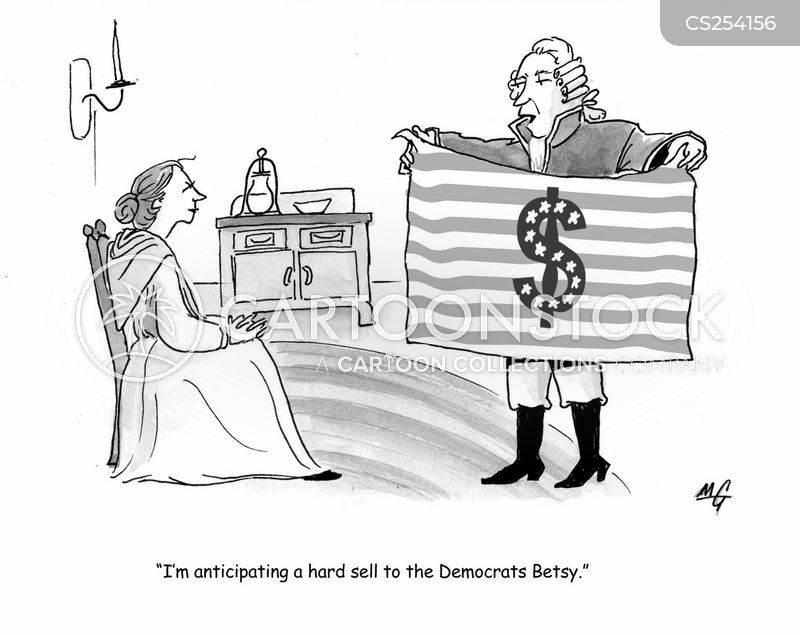 "I'm anticipating a hard sell to the Democrats." 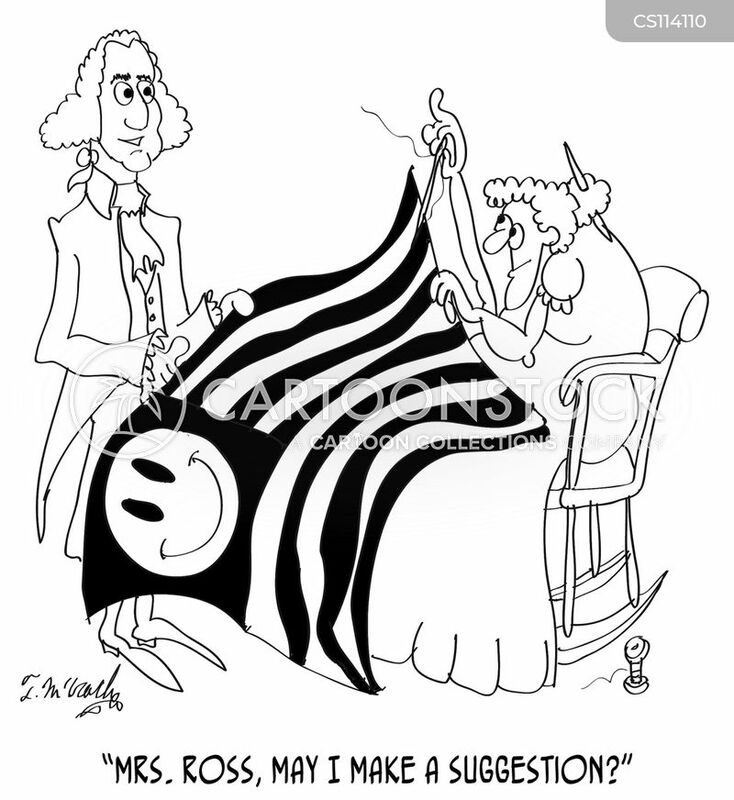 "Mrs. Ross, may I make a suggestion?" 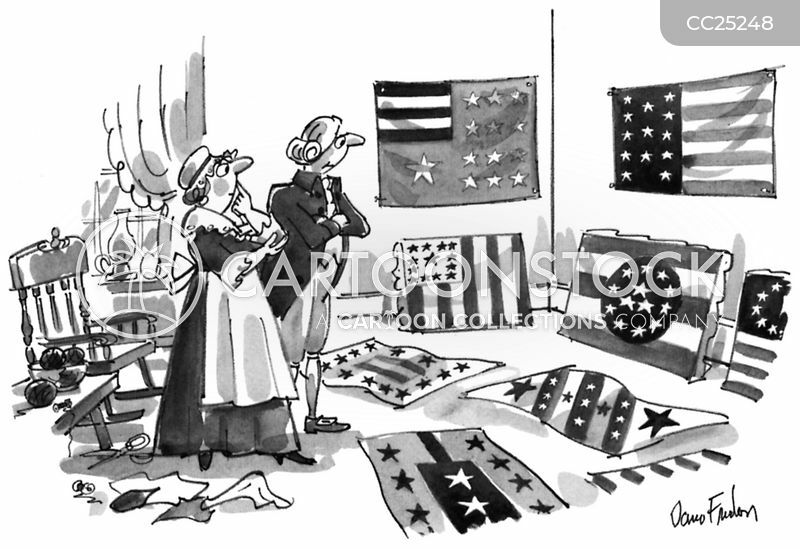 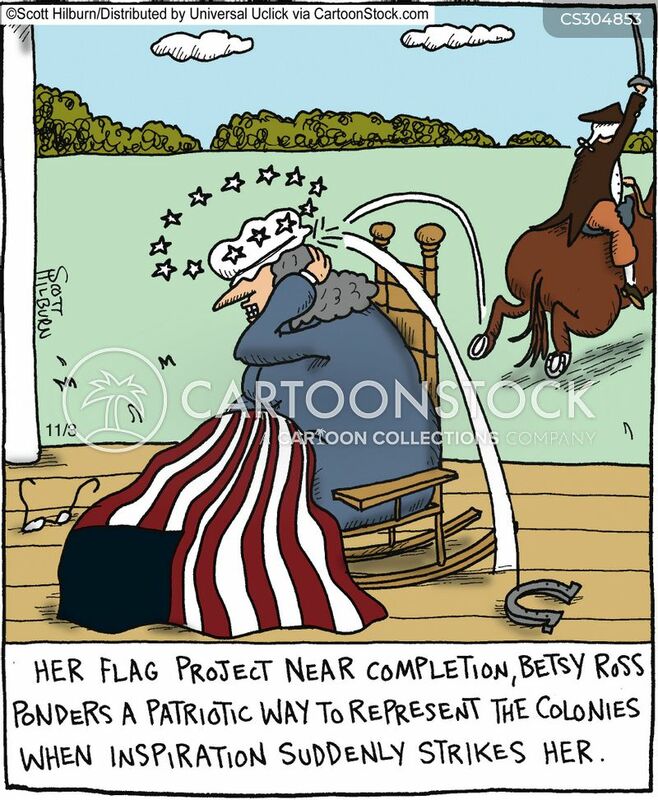 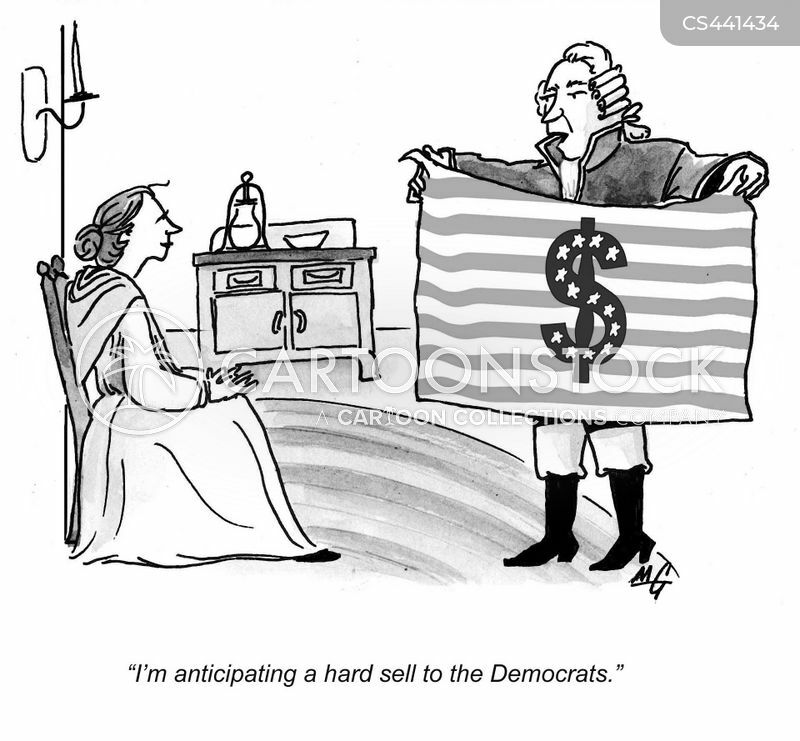 Her Flag project near completion, Betsy Ross ponders a patriotic way to represent the colonies when inspiration suddenly strikes her. 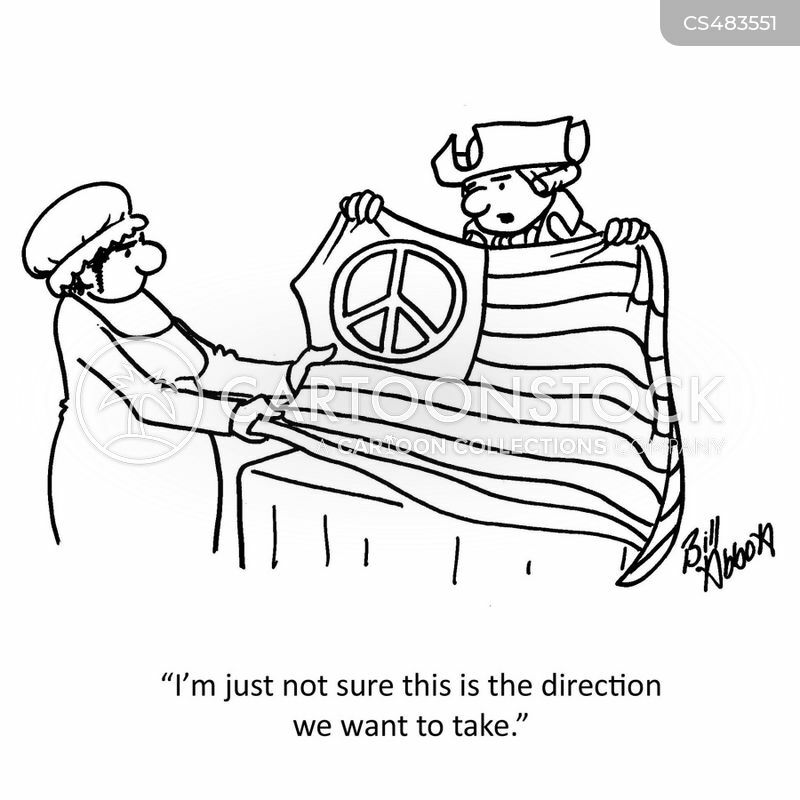 "I'm just not sure this is the direction we want to take."